We have been a leading school of the music education in Irvine and Orange County region for the past over a decade. We have produced many top performers in the region winning various competitions and orchestra auditions. We put a great deal on hiring our faculty that our faculty is not only talented musicians but also passionate and caring teachers for their students. Vienna Music Institute goes beyond offering private lessons—here your child will become an experienced and well-rounded performer. After all, the ultimate goal of any musical endeavor is performance! At VMI your child will participate in regular Musicality Master Classes where students perform for each other and receive comments from our faculty. 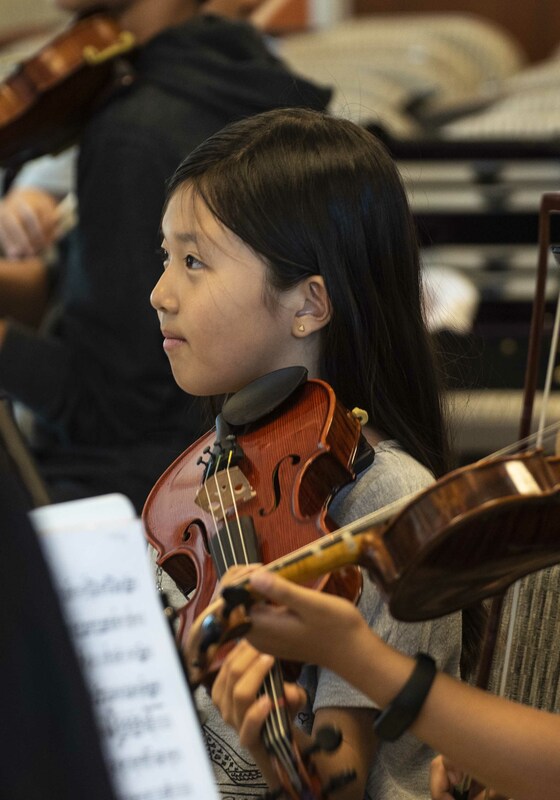 In addition, we prepare our students to participate in local competitions, so that your child will compete with the best young musicians in L.A. and Orange County. Ten percent of Irvine School District Honor Orchestra‘s winners are from VMI every year. Also, typically twenty to thirty of our students win SYMF Competition annually. We also feature classes in music theory to prepare our students for Certificate of Merit and other music theory tests, and to help them in their playing. At VMI your child will be offered all the tools he or she needs to thrive in the world of classical music. We offer private lessons with experienced teacher-performers in: violin, viola, cello, double bass (contra bass), flute, clarinet, and piano. Our ensembles set us apart from other music schools in Irvine. 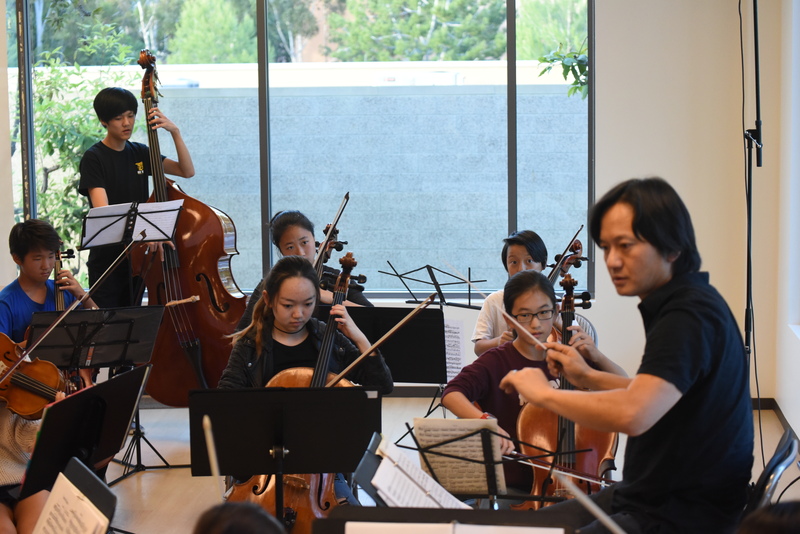 To deepen and broaden our students’ musical training beyond the private lesson, increase their experience performing at a high level, and give them access to the great inspiration of playing music with others, we offer classes in chamber music(string quartets) and two string chamber orchestras. Call today to register and join the Vienna Music Institute community! Join our summer music camp! 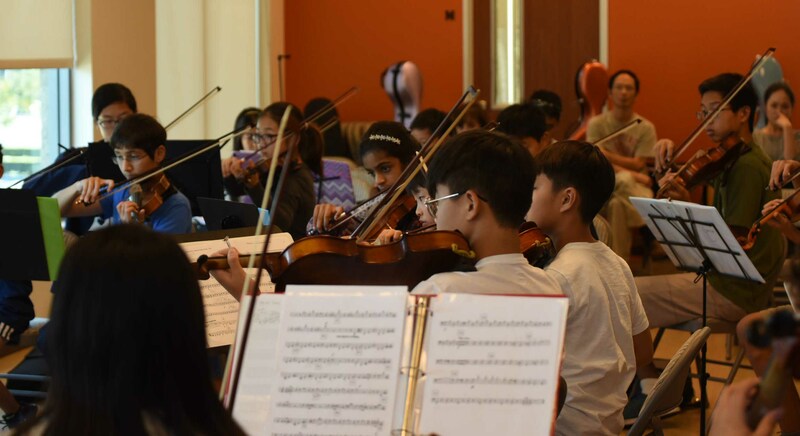 Vienna Music Institute proudly presents summer orchestra camp 2019. The camp will be held from July 8 till 19th. Join us to have a great orchestral experience! Fun way of learning music with friends. We will have lots of fun learning and playing music. Our sectional sessions will be working closely toward individual students. And, musicianship class will cover music theory and history.